How to build a Marshmallow Gun! 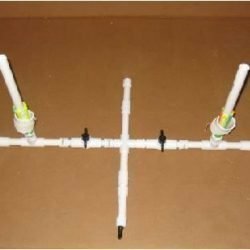 Marshmallow Air Cannon Plans, build your own PVC Air Cannons, SHOOT water or marshmallows with these Air Cannon Plans, PVC Air Cannons, Download & Build Today!
? 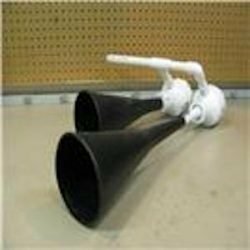 Easy to build Marshmallow Air Cannon Plans.
? Also, shoot water with ease, this is a super soaker on steroids!
? Shoot like a shotgun with 20-30 marshmallows.
? Plans are only $4.95.
? Loads of fun that will last all day.
? Step by step detailed instructions with pictures. 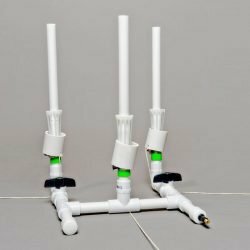 Recommended maximum working air pressure of 80 psi for this marshmallow gun – air cannon plans. At that pressure, the marshmallow stays intact and achieves an incredible range. The safety-rated pipe is rated for a maximum of 260 psi (pounds per square inch), however, do not try to operate this marshmallow gun at that pressure. With this air cannon, you can shoot water instead of marshmallows too if you wish. Ever get soaked with a water pistol? Well, load the barrel with water and the air chamber of the marshmallow gun with approximately 20 psi for an incredible soaking shot. Or you can go into the shotgun mode and load 20 – 30 mini marshmallows down the barrel and fire them all at one time. This gun has an advanced rotary bolt mechanism. This allows you to load straight into the barrel (from the top) instead of shoving a marshmallow down the end of the barrel. The rotary bolt is new, safe and very last to load. As mentioned this marshmallow gun operates on air pressure. It can be charged with air from anything from a bicycle pump to an air compressor. I have constructed the firing chamber of this gun with a standard tire fill valve for ease of connection. You could even use a garden hose, with the correct adaptor, to fill the air chamber of the gun for an even larger water soak. 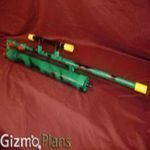 Now you too can build an Ultra Magnum Marshmallow Gun and these plans will tell you to step by step how. 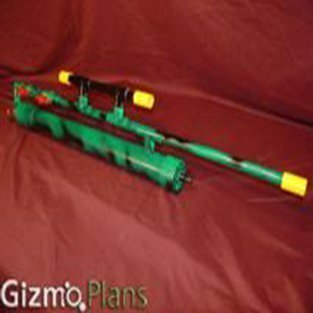 Download the plans for the Ultra Magnum Marshmallow Gun and build today! 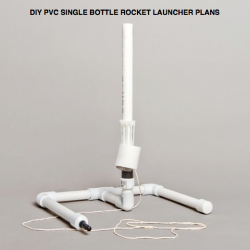 PVC Air Cannon Plans are easy to follow, low cost to build and every step is photographed.